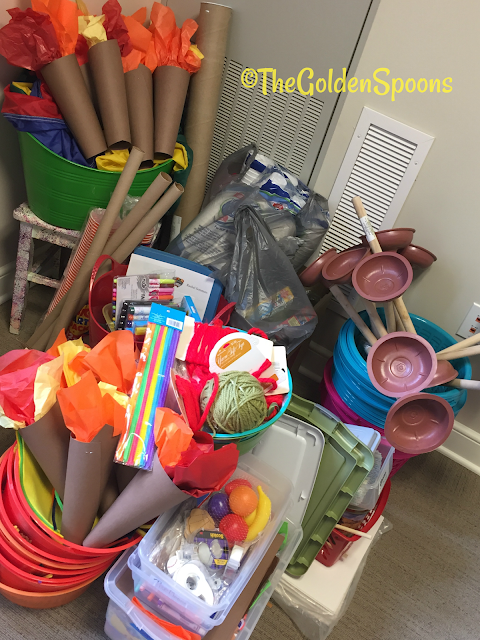 The Golden Spoons: Summer So Far . . .
Summer's half-way over according to the calendar, but I feel like the end is just around the corner. My oldest daughter attends a special high school program that is housed on a college campus, so they follow a college schedule which means she got out just before Memorial Day. However, my two younger daughters didn't get out until a couple weeks later in June. Now, the two youngest have almost all of August before they go back to school, but the oldest goes back on August 3 - less than two weeks from now. Even though we won't be back up and running at full speed with all the kids in school for another month, once she goes back, our summer vibe is most definitely deflated. With a summer that seems viciously short, I find myself thinking about what I've accomplished - and what I haven't.There's plenty still left on my to-do list, but we've accomplished a few things, too! 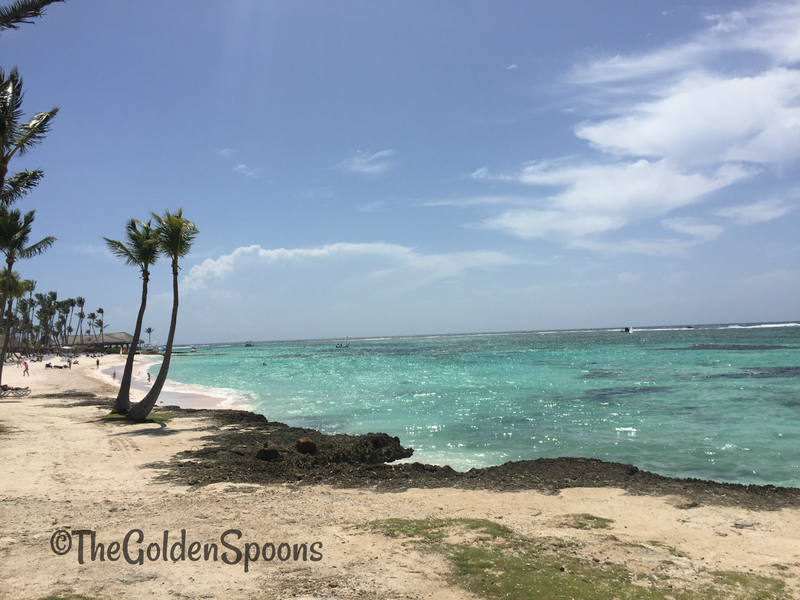 We spent a week in June in Punta Cana, Dominican Republic. It was beautiful and we had a great time! It took us far too long to agree on a place to go and one that would make all five of us happy, but in the end, this was good choice. We stayed at a resort that had lots of activities for kids and adults. It was our kids' first time out of the US and it was definitely a learning experience with customs, passports, and travel hassles. It was also interesting to see them learning about cultural tidbits (like no ice in drinks) and seeing people from a wide variety of cultures. I'm not much of a DIY-er. I have a terrible eye for design and I'm always scared to make big changes in case those changes turn out to be bad choices. But, you never know until you try, right? 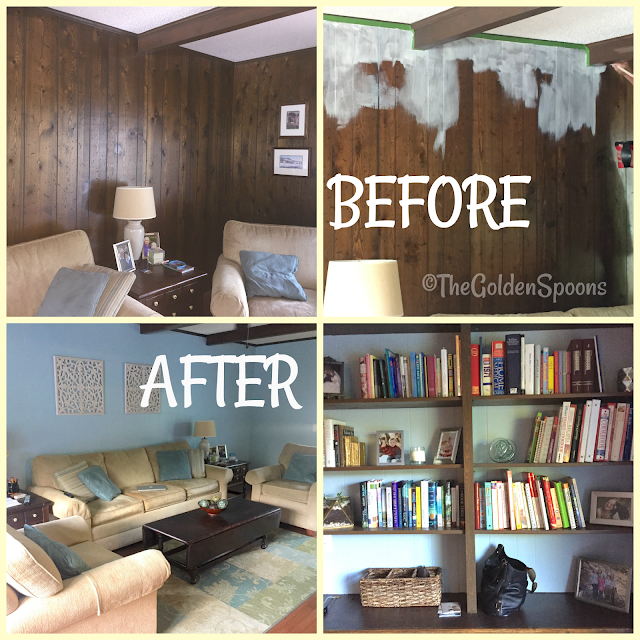 So, over the July 4th weekend, we finally painted over the 1970s paneling in our den. After much debate and many opinions, we went with a pale blue and . . . . I LOVE it!! It's so much brighter, fresher, and more modern than the dark brown wood. What do you think? I started the summer with a list of all the spaces in our house I want to clean out and organize. It included everything from my walk-in closet to the spice cabinet in the kitchen. I even almost wrote it up in a blog post that was never completed! I did clean out and organize my closet. I also worked on some cabinets and shelves in the den as part of the big painting project. Beyond that, though, I haven't marked much off the list. There is still tupperware falling out of my pantry, spices falling out of the cabinet, and several bags of clothes that need to be taken to Goodwill. But, hey! It's summer, right!?!? I also started the summer with a list of books I wanted to read and that list actually did make it into a blog post! There were eight books on the list and I've only read two of them. However, I read a third book that was on my list of books to read for 2017 and I'm working on a another one from my summer list with yet another on my nightstand. The best one by far has been The Women In The Castle. If you were a fan of the Nightingale and/or All the Light We Cannot See, you really need to read this one! I published three blog posts in June and none, until this one, in July. So, blogging hasn't been great, but also not terrible. I did have this piece published on Grown & Flown in early July. That was the first time I have been featured on another site in a very long time and it felt pretty good, especially since it was a piece I really loved. Did you see it? On a scale of 1-10, I would give this summer a 7.5 so far. It's had it's fair share of stress and hard work, but also a good bit of fun, family time, and relaxing. I'm just really, really not ready for it to be semi-over when the the teenager heads back to school in a week and a half. I guess being "stuck" at home for the better part of August will give me plenty of time to get all (or some) of my unaccomplished things completed, though! What have you been up to so far this summer??? This post is linking up with Finish the Sentence Friday hosted by Kristi at Finding Ninee. This week's sentence was "The summer's half way over and I . . . . ". I love the blue wall so much! Did you do anything to minimize the lines in the paneling because in the photo you can't see them at all, although I bet they look cool (I painted a brick fireplace here white and worried about the brick "pattern" but it's fine and actually pretty cool. Robert and I went to Punta Cana years ago (I was pregnant) and it was gorgeous! The one thing we didn't like was that each meal was really disappointing. Did you all find that as well? Now I feel even worse! I didn't catch your published article but I'll go check it out! I bet you use a planner AND a pen? HA! Just Read it!!! LOVE it!!! I usually read more in the summer, but this one have been too busy. But, yes - cold weather soon enough! Lisa, the light blue paint looks amazing! What a difference in the room - even the furniture looks different against the lighter walls. Sounds like a great summer so far. School starts next week for one of the girls? Yuck. Thanks, Dana! It does feel like a different room in there. Yeah - I can't believe she goes back to school next week. Definitely - YUCK!